Reasons Your Business May Not Be Ready For SEO | Is Your business ready? The reality is that not all businesses are in the position to engage in a search optimsation campaign. SEO can be a significant investment, both from a time point of view and in dollar cost. Just like everything else in business, it’s also not getting any cheaper. Costs for digital marketing businesses continue to increase. Further to that, being located in Australia is not conducive to lowering costs. Although the search engine marketing industry is growing exponentially, many of the third party services are purchased in USD, making it more expensive to do business here in Australia. Having said all that, in this post I’m going to outline some reasons you may consider not engaging in SEO, and reasons why your business could, or should. Read below to see if search engine optimisation is a good fit for your business. Believe it or not, we have businesses coming to us asking us to save their business. 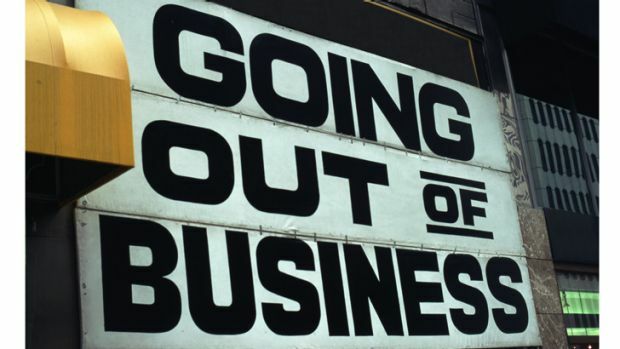 On occasion, there may be a reason outside of a businesses control or business owners control that means they are heading towards collapse. An example may be a change in government legislation or legal requirements. In this case there may be a way to pivot or change the model of the business. Unfortunately more often than not, it a systemic problem in the business, that has caused a downward spiral, sucking cash and results. An example of this may be bad customer service, bad debts, or something as simple as not answering the phone to take enquiries. There has been times where we deliver results, and track traffic and calls to a business phone number, but the business does not reply to emails or answer the phone. Sorry, but we simply can’t help in this situation. In fact, we will not take on any business that we believe is dysfunctional. The outcome will not be positive for anyone involved. For most digital marketing service providers, it’s difficult to make any inroads or gain traction for less than $1000 AUD per month. While this may be seen as a generalisation, most quality SEO service providers will not take on clients for less than this. Yes, there are cheaper options. Even we get the weekly emails promising page 1 results for $99 per month from the sub continent. If that is your budget, feel free to give it a go, but the pain is not worth it IMO, and the results will not be great, and if they are, they wont be sustainable. I was in a prospective client meeting the other day, and mentioned that results will come, but you wont be on position 1 for your main city keyword tomorrow. I kid you not, the business owner said, “ok, what about next week, or at least the end of the month. If I’m paying you good money, I want results fast”. Needless to say the meeting didn’t last long. I get it. It’s frustrating for business owners to keep hearing from SEO companies that it’s going to take time. The reality is, we don’t own Google or the other search engines. We can’t call them to ask how to rank a certain keyword or business. We can but an ebook from Google telling us how it’s done. However under most circumstances, on page adjustments can have very rapid results if there were initial problems. We’re talking 2 days to a week to see some large improvements in rankings. But in highly competitive markets, that simply wont be enough. It takes time to build trust, authority, and brand positioning in competitive markets. For immediate results, you may be better looking at adwords or social media advertising first. See above. Although if it’s due to other reasons other than results, we’re happy to talk to you. While this is rare, it does happen. Examples include simply too much growth in the early stages of a business that the systems can’t keep up or the growth in the business has caused cashflow problems. The reality is you need these to enjoy a successful campaign……a marketing budget and time. You need to align your expectations that it’s a real investment in both time and money. However if you do commit, the results can set your business up for a long long time, and revenue generated will greatly outweigh the investment. What tends to happens is that a large amount of work will be done on the first 3 to 6 months. There will be improvements, but you might not hit the long term goals in that time. But what tends to happen is as the authority and trust of the site builds, you’ll see all areas of the site perform. There is nothing better that writing a quick blog post, and immediately hitting page one due to the blood, sweat and tears from months gone by. Jono is a partner in two digital agencies in Australia. He also founded and curates his personal SEO blog at http://theseoglossary.com. He lives in Adelaide, South Australia.